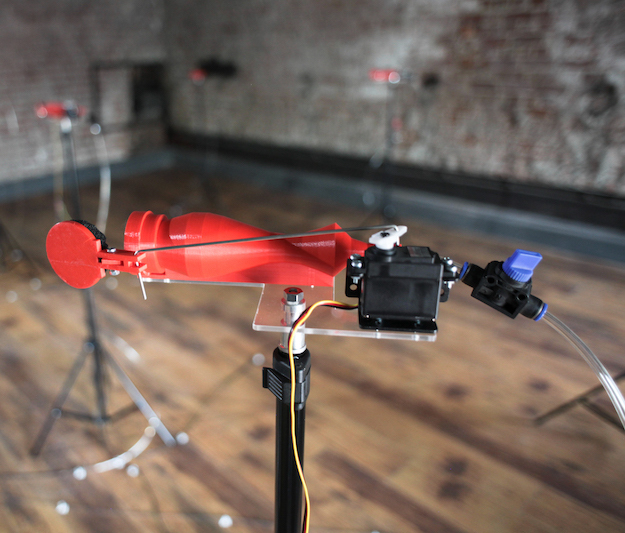 “Whisper” is a sound installation consisting of compressed air flowing through acoustic resonators based on the shapes human vocal tract takes during speech. 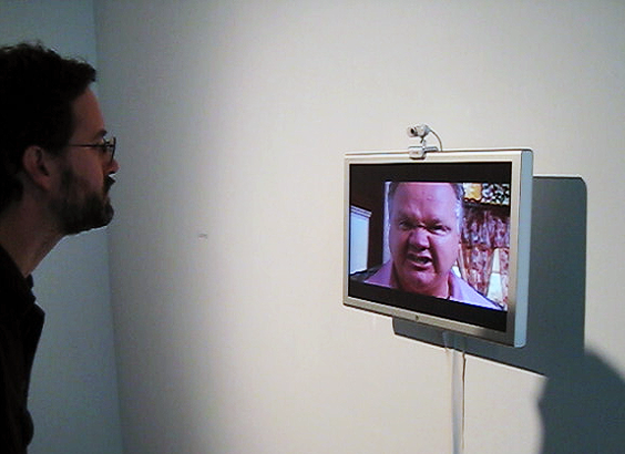 The sounds that the viewer hears while walking around the space resemble human whispering, as well as breathing. 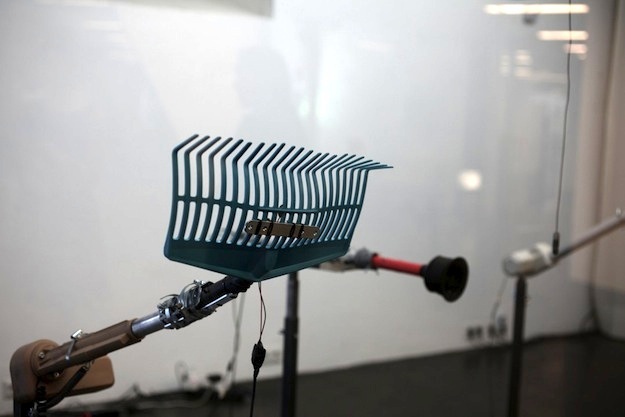 “Stroke” is an installation consisting of large linear actuator motors, each equipped with a different object, namely a cleaning brush, a plunger, a window squeegee and a garden rake, attached to its tip. 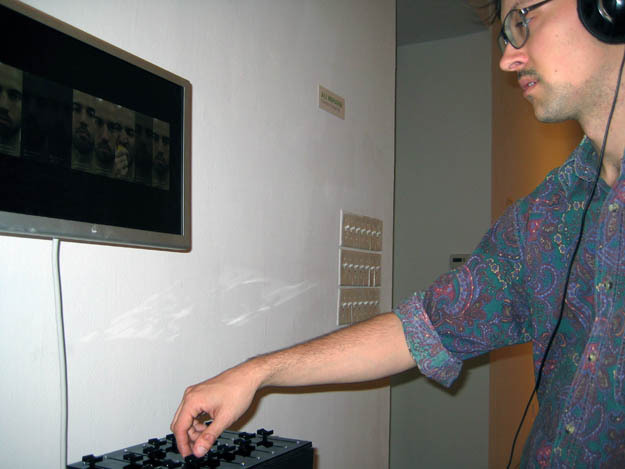 “Machine that Whips the Wall” is a machine equipped with a whip that continually hits different spots on the gallery wall. 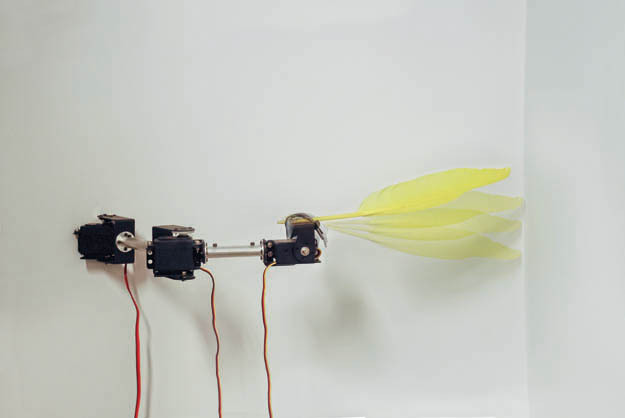 “Machine that Tickles the Wall” is a small mechanical arm with a feather attached to its tip which points to a wall edge in the gallery. 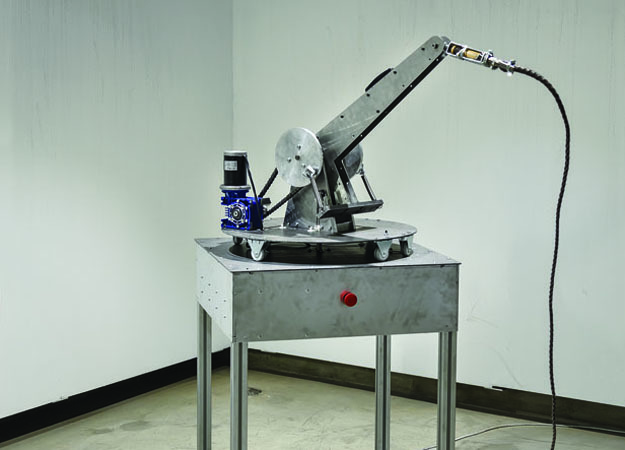 The arm is programmed to imitate various types of tickling movements in a loop. 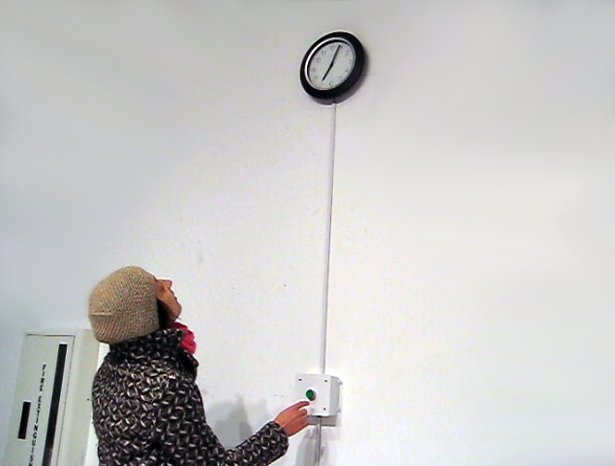 “Last Time” is an installation piece designed for public spaces, consisting of an analog wall clock with a button underneath. 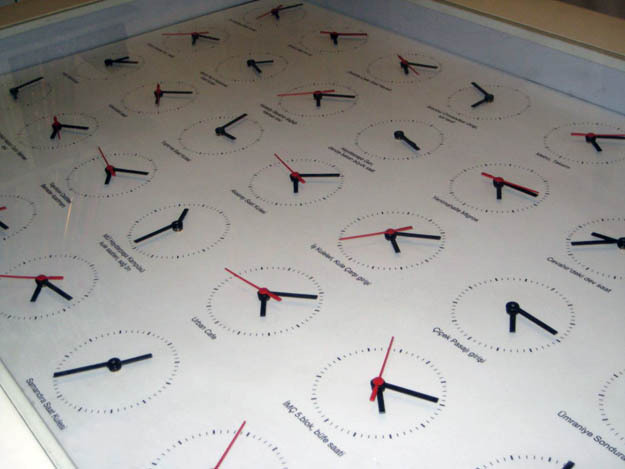 Each time the button is pressed, the arms of the clock rotate to catch up the time that passed from the last time the button was pressed, sets the time and stops until it is pressed again. 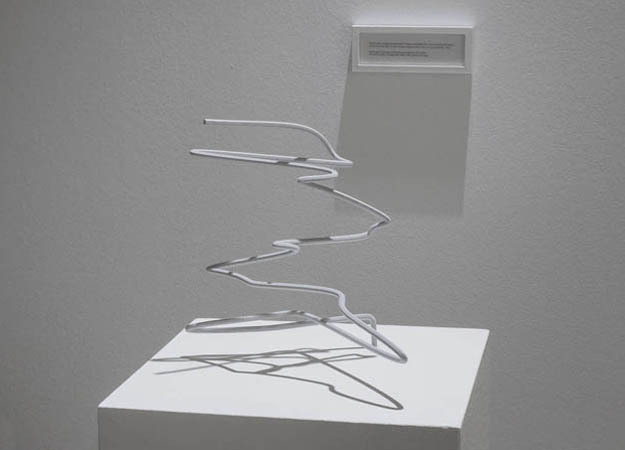 “Darwin’s Birthday” is a digital print of screenshots taken from local Google pages from 110 different countries on 12 February 2009 – 200th anniversary of Charles Darwin’s birth. The multinational corporation chose to display its special anniversary logo in some countries while suppressing it in others, resulting in a collection that recalls different mutations of an organism. 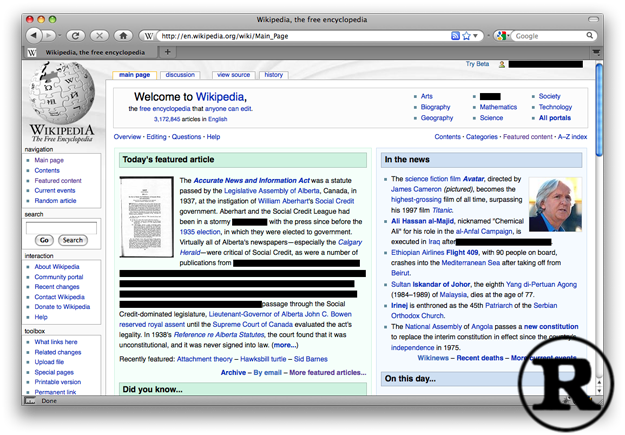 The part of the Digital Millenium Copyright Act (DMCA) dealing with Digital Rights Management (which criminalizes the act of circumventing an access control and also criminalizes production and distribution of technologies, devices or services intended to circumvent measures) is encoded on a frame using a CNC router, the height of each rectangle representing a byte in the law text. 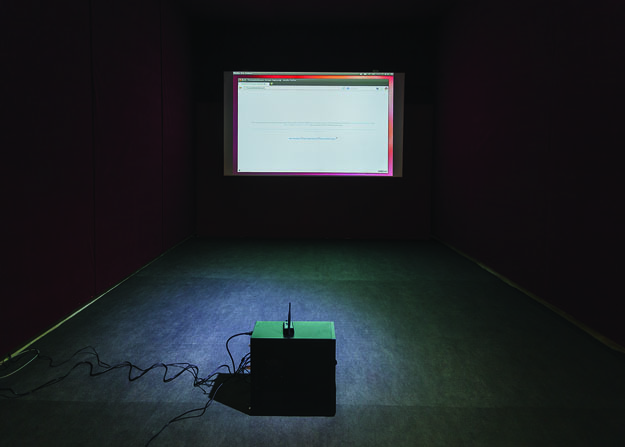 The same text is also conceptualized on paper as an ontology map, based on the definitions made in the law as well as on the network of linguistic relationships outside of the text.